You can drive your street car at speed on the race course at Portland International Raceway. Click here to see and download photos of participating cars in the June 8, 2018 Track Night in America! 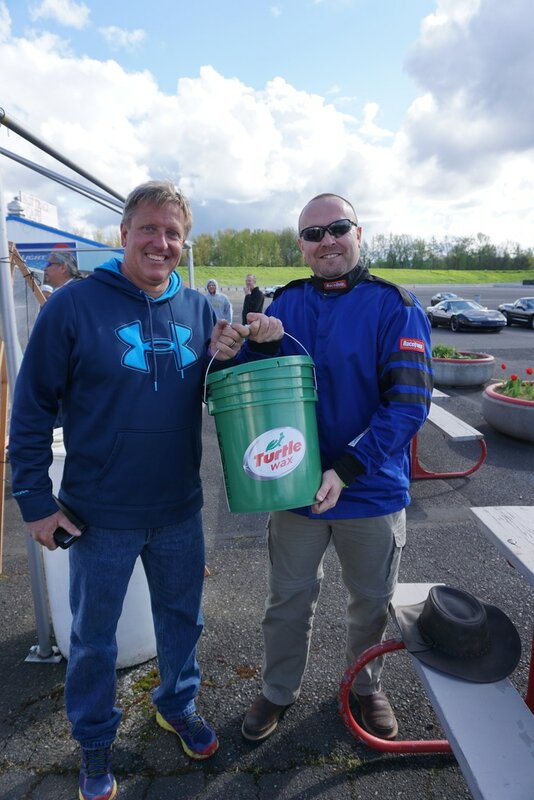 Congratulations to Lane Morris (r), who won our TNIA giveaway at the April 14 event - Lane went home with a big bucket full of Turtle Wax car care products! ​SCCA's Tim Ferrick (l) made the presentation. Check out the photo gallery from our August 11 Track Night in America event!